Never shying away from a challenge, our team is comprised of exceptional dental experts across the board. From the front reception to the back door we believe in creating an environment that you will look forward to entering on each dental visit. Each step in our process begins with our commitment to adapting to your individual desires as a patient. Have no doubt that when you enter Burtch Dental we will be diligent in finding the treatment plan and method of care that is ideal for you and your family. 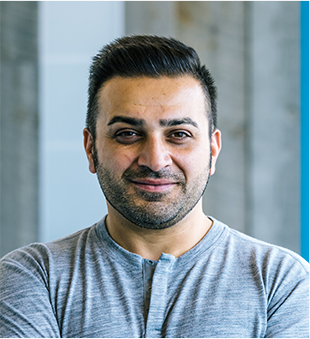 Dr. Aslani grew up in both Grand Prairie and Edmonton, however some of his most fond childhood memories were during the Summers he spent vacationing here with his family. Following his graduation from Boston University with his Doctorate in Medical Dentistry (DMD), Dr. Aslani decided to relocate to the Okanagan. 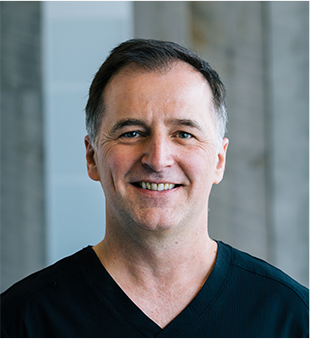 He opened his first practice in Kelowna during the Spring of 2007 allowing him to show his love of dentistry and genuine care for others through a practice of his own. Burtch Dental is the second practice of Dr. Aslani’s, giving him more room to offer the same exceptional care to more of the Okanagan’s amazing residents. When he isn’t in the office chair, Dr. Aslani can be found making the most of the Okanagan, whether that’s downhill mountain biking in the Summer, or snowboarding the hills in the Winter. Dr. Grover graduated from the University of Alberta Faculty of Dentistry in 1987 and practiced in his home province of Alberta until 1994 when he relocated his family to Kelowna BC where he continues to serve those looking to improving their oral health. Dr. Grover takes pride in having a practice that operates in a professional and caring environment – one that is focused on presenting the best treatment options for his patients. In order to provide the highest quality of care, his services and products have constantly evolved throughout his 30-plus years in the dental profession. Moving to Burch Dental in March 2018 was the next step, where we merged our resources with Dr. Aslani, a general dentist who has also been practicing in Kelowna for many years and has the same patient-centered philosophy of practice. In addition to his commitment to providing up-to-date patient-centered care, Dr. Grover volunteers on various dental committees (for general dentistry and dental assisting), he participates in a wide range of clinical study groups that allow him to treat more complex clinical situations, including orthodontic and implant treatment. Dr. Grover is also a volunteer firefighter (Station 42), but his favourite passion is flying. He recently participated (as a volunteer co-pilot) in a successful fundraising endeavor for givehopewings.ca. Dr. Grover and his staff look forward to seeing you all at Burtch Dental.